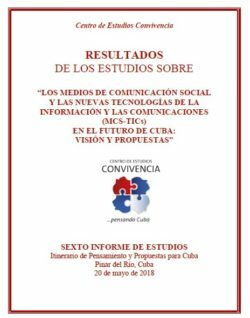 Cuba is approaching a citizen consultation exercise. On February 24, 2019, a text of the Constitution that has been drafted by an ad hoc Commission, elected by those in the government and/or in the only Party, will be submitted to a referendum. A new Constitution should have been drafted by a Constituent Assembly, directly elected by the people to represent all political, religious, economic and social options. It is true that for some time assemblies were conducted and led by duos from that same Party which were held in order to present modifications, whether they be additions, deletions or alternative drafts. Despite the obvious control held over these assemblies, many people came forward suggesting substantial, structural, and in-depth modifications that covered wide spectra of public life e.g., that the President of the Republic and all provincial governors were to be elected by the direct and secret vote of citizens; that a multiparty system be approved and that the supreme power of the single party over all of society, the State and the Constitution itself is to be eliminated; that the economy be opened up without a blockade of the private sector; that the irrevocable character of socialism as the only ideology be eliminated; that freedom of conscience, of expression, of assembly, of peaceful association, of religion, not only of worship, be consecrated without restrictions or subterfuges; that the death penalty be abolished totally and forever; that the use of violence be eliminated, including armed struggle against anyone who attempts to overturn the political, social and economic order established in this Constitution; that choosing the education of their children is the right of parents and that they can freely choose the educational project that corresponds to their choice, among others. Well, despite the fact that more than 60% of the articles in the first version were modified, these modifications did not essentially touch upon any of the substantial proposals which we have mentioned as examples, which constitute the nucleus of continuity of power by a single group irrevocably and without any peaceful alternative. Looking now at the final version we can say that the modifications did not affect any essential item and if there was any in these precepts is was done to shield the power of a small part of the population over the rest of society, and to protect one ideology over all others. Now there only remains one legal and peaceful possibility. To exercise the civic right and duty to express our assessment of the text by approving or rejecting it in total, as a single unit, without being able to modify it or vote for individual articles., or alternatively, to exercise our right not to vote. Abstention is another way of expressing an opinion that is neither a yes or no. He or she who wants to express that he is not participating thereby renounces to exercise that right. This renunciation can be due to various reasons: indifference to politics or not realizing the importance of expressing one’s opinions and exercising sovereignty , even if limited or short-lived although real, or also it can be a way of expressing that one does not recognize the legitimacy of the process. All these civic actions are equally legitimate and should not be disqualified by the government or by the opposition, or by the rest of the civil society, or by other observers in the international community. Voting Yes, voting No, or Not voting, are all three equally valid, legal and sovereign options. By the way, citizen sovereignty is not mentioned even once in this Constitution, which is the origin, foundation and goal of every Constitution. What is not ethical, legal, or valid is to disqualify any Cuban because he chooses one of these three alternatives. To argue for a Yes vote or a No vote or for Not voting is a citizen’s right and duty, and not the State’s which should represent us all and not just one of these options. That is illegitimate, illegal and ethically unacceptable, as it is to label as ignorant, collaborators, foreign allies, mercenaries, traitors or ill-begotten all those who disagree with their option. 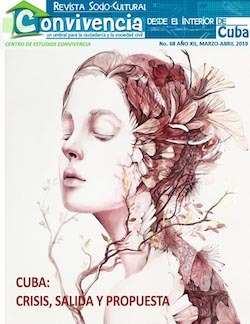 These disqualifications, offenses and attacks among Cubans divide us, face us off and foment in in us, consciously or not, verbal, gestural and real violence. How can we speak of unity among all Cubans when we only accept a single option either from the government or from civil society, be it from those who live on the Island or our fellow countrymen who live in the Diaspora? True democracy debates but does not disqualify, it argues but does not offend, it disagrees but does not attack. Regardless of who engages in it, completely aware or without realizing its consequences, whatever the end, however legitimate it might be, we all know that the end does not justify the means and attitudes used to achieve it. All peaceful, decent and respectful campaigns which respect the rules of peaceful coexistence and equal right and opportunities are to be welcomed. That would be an excellent training to build a democracy in Cuba that would make José Martí’s wish come true: “let’s place around the star on the new flag this formula of triumphant love: with everyone and for the good of all. To exclude is not to follow Martí, to face each other off is not the message from his poem in which he offers a white rose to friend and foe alike, to divide is not compatible with his concept of the Fatherland in which “we all have a place.” To permanently legitimize irrevocably a single ideology, whatever it may be, is not consistent with Martí’s thinking: “A Constitution is a living and practical law that cannot be constructed with ideological elements”. Putting a single party, whichever it is, over the Republic and the State, was not his view. To label as “ill-born” or “unpatriotic” anyone who thinks differently, doesn’t come from the Martí of the Montecristi Manifesto in which he invites even the colonial enemy, the Spaniard, after the war is over, to stay in Cuba and join in the construction of a new Republic. If this is how Martí treated foreigners and enemies in the midst of the war of independence, how can a constitution that establishes a single and irrevocable ideology, a single party and, above all, a single and hegemonic economic model, with a single and exclusionary educational system, just to mention some of the main parts of the final text be thought to be consistent with Martí? 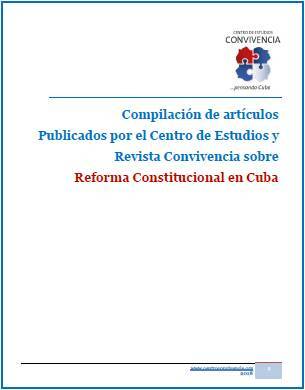 How can a Constitution be considered as following José Martí’s ideals with these contradictions? 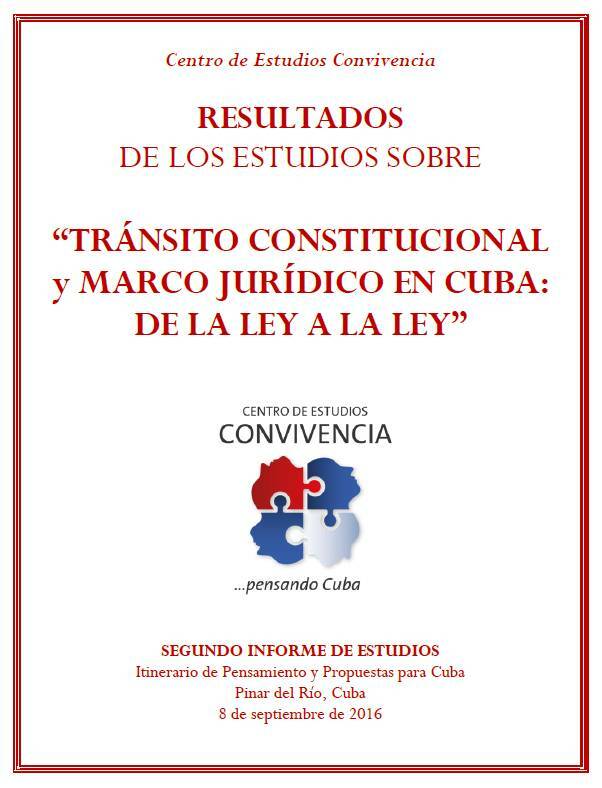 On the one hand it declares that the first precept of the Constitution is his statement that “I want the first law of our Republic be the cult of Cubans to the full dignity of man” and to abolish forever the death penalty, fratricidal fighting and the exclusion of those who think, believe or express themselves differently?” The full dignity of every human being is inclusive and not divisive; it gathers and does not exclude, it loves and does not hate; it respects and does not attack its compatriots, it does not consecrate a culture of death but rather the culture of life as the supreme and sacred value that nothing or nobody can remove in any of the stages of life, from conception to natural death. That is the spirit and words of José Martí. 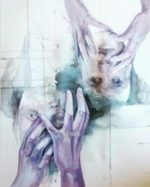 Some argue that in the main everything has been decided, and experiences certainly back them; one of them, the most recent one, is the latest version of the constitutional text that is essentially identical to the first. Some express that the final figures will be manipulated in favor of the Yes vote, and they certainly have a point. Others argue that the important thing is to be at peace with our conscience, that that is the main thing, while others say that participating by saying No, is to legitimize with that No what is being rejected. Whatever our position may be, there is also precedent and truth in that in many countries with political regimes the same or similar to ours, as well as in right-wing dictatorships, there are several examples that when citizens participate in binary Yes or No questions, postponing for a moment the legitimate variety of other projects, the result has been overwhelming. incarnated and committed to truth, freedom, justice and Peace: “Because of your unbelief: for verily I say unto you, If ye have faith as a grain of mustard seed, ye shall say unto this mountain, Remove hence to yonder place; and it shall remove; and nothing shall be impossible unto you.” (Gospel of Matthew 17, 14-20). 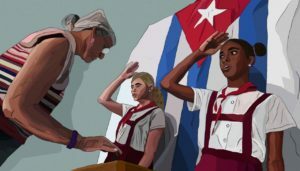 So our exhortation, respectful and inclusive, at this time in Cuba, is that each Cuban put the Homeland and its fortuitous future above their own legitimate economic interests, above their political options, above their fears or mistrust, above their projects or parties, be they pro-government, opposition or members of the civil society, so as to be able to exercise their rights as citizens by exclusively following the direction of their own conscience. supreme effort of coherence between what we believe, what we think, what we express, and what we do. 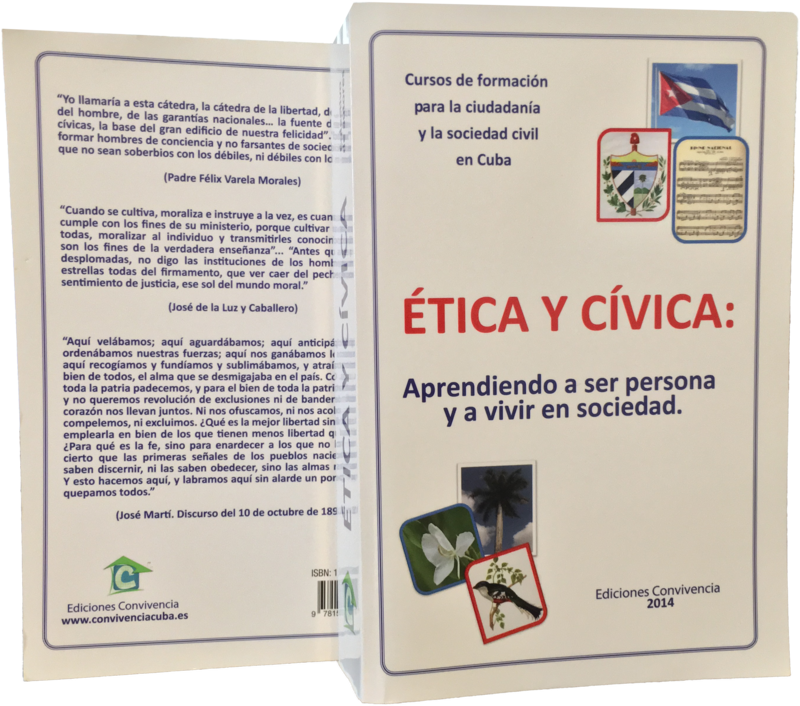 Decide in conscience: that is the best way to make and serve Cuba. Birth of José Martí, apostle of our freedom.